Pakistan police on Tuesday charged three Iranian border guards with the murder of a Pakistani man shot dead on Sunday in a cross-border attack in the country’s southwest. 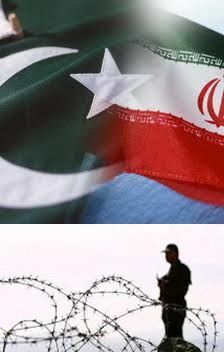 The three guards were held late Sunday in southwestern Balochistan province along the Iranian border after they allegedly crossed the frontier and shot at a car, killing a Pakistani national. Police said they had charged the Iranians following a written complaint from the father of the victim. “We have registered a murder case against the three Iranians and will present them in court,” said Abdul Malik, officer in charge of the Mazan Sar Mashkail area, where the three were arrested. Iran, on the other hand, clarified that their border security officials entered Pakistan in pursuit of drug traffickers.